Writing is a solitary endeavor? Could’ve fooled me! ***I originally posted this a couple of years ago, but it is still very meaningful to me…especially at this moment! I hope you enjoy this post, and comments are welcome below! How often have we heard that being a writer is a solitary endeavor? The very notion conjures up visions of a lonely soul sitting in the dim light of a desk lamp, fingers poised over the keys of his laptop. I’m sure that the same would be true for just about any other artist. As a musician, I tended to spend an incredible amount of time in the practice rooms and rehearsal halls working my fingers and brain to the bone, honing my craft. And speaking from personal experience, there were days where I would enter the music facility so early in the morning, it would still be dark. And by the time my day of classes and rehearsals was complete, it was dark when I finally left. The artist sits in solitary confinement, with only the company of his (thoughts, instrument, canvas, etc.) to keep him company. Seems kind of sad in a way, but perhaps it is a necessary evil. However, I think it’s a temporary evil. Musicians work their technique in the practice rooms, so that when they perform out in public, they can affect masses of people. Visual artists work in a similar fashion. The same can be said of writers. 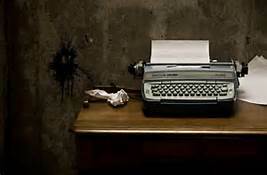 We tap our fingers on our keyboards, in solitude, as we conjure, write and edit our literary masterpieces. But how many of us can say that we complete the process of creating art all by ourselves? Therein lies my problem with the question at the top of this post. Personally I have a legion of alphas, betas, and other support staff in my “writer’s family”. Those individuals help to keep my voice true, my characters believable and my plot holes filled. For me, writing has moments where I do need solitude, but the overall process is anything but. So much goes into the editing and proofreading of those early drafts, and my eyes always seem way too close to the writing to make meaningful changes. I recently listened to an interview with songwriter Emily Haines of the band Metric. In it she mentions how critical of her own work she is and in the past has basically edited her songs down to where there is nothing left. As a songwriter, she relies on the other members of the band to keep her music true to the conceived meaning. I think this might be true for most artists. There are many writers interviewed on this blog, and every one of them comes from a unique background and skill set. Every one of them has approached writing their novels a bit differently. How about you? Do you rely on the eyes of others in your writing process? Are you a “Go it Alone” kind of writer? Please weigh in on this topic. I’d love to hear from you! This entry was posted in Uncategorized and tagged #amediting, #amwriting, #publishing, #Writerlyadvice. I’m a seat of the pants writer that mostly goes alone. I appreciate your visit to my blog and taking the time to leave a comment.